If you have been diligent about financially supporting your child, it can be deeply upsetting when your ex-spouse attempts to undermine your relationship with your child by withholding access from you. Custody does not equal ownership. You have a legal right to be active and involved in your child’s life. 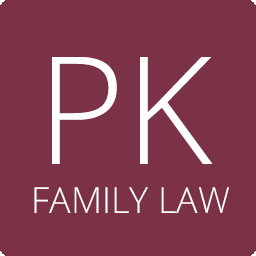 At the Law Offices of Patricia A. Kalal, we have been helping responsible fathers maintain relationships with their children for over two decades. From establishing paternity through DNA testing to enforcing the father’s rights, we handle every aspect of paternity cases from start to finish. Don’t let your relationship with your child suffer needlessly because of an unreasonable or intrusive ex-spouse. If you have a question about paternity or fathers’ rights, contact us today to set up an initial consultation. Fathers must be financially responsible for the welfare of their children, which can include a range of expenses from child care to summer camp and future college tuition. But the reward for attending to these obligations is the ongoing enjoyment of your child. Attorney Patricia A. Kalal handles both sides of paternity cases, from enforcing child support to helping fathers maintain an ongoing relationship with their child. Whether you are a father who simply wants to be able to spend time with your child or a mother who is tired of receiving delinquent child support payments, our firm will help you take the steps necessary to provide care for your child’s welfare. Contact the Law Offices of Patricia A. Kalal today to make an appointment for an initial consultation.